If your teen is thinking about college or applying right now, that means big and exciting changes may be happening soon! The transition to college and adulthood can be challenging. Buy your student a good alarm clock and make them responsible for getting themselves up and moving in the morning. Help your student begin to develop good time management skills. Click here to show them a video about using a planner or making a to-do list, which will help with this. Teach your student the important daily life skills they may need. These include laundry, cooking simple meals, and spending their money wisely. Let your student be responsible for making necessary appointments and phone calls. Talk to your student realistically and honestly about drinking and drugs. They may encounter drugs and alcohol in college, and talking about it will help them make safe choices. Helping your student transition to college life and adulthood can be overwhelming, but you don’t have to do it alone! 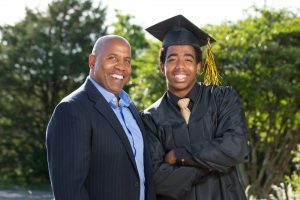 Check out collegeparentcentral.com for more helpful tips like these, or submit a question to us at BeWell. We’re here to help!